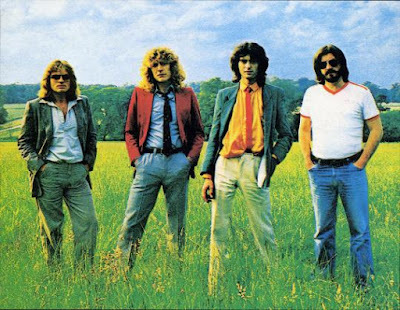 The final three albums of Led Zeppelin’s reissues series are headed for a possible debut in the US Top 10. Expanded versions of 1976’s “Presence”, 1979’s “In Through The Out Door” and 1982’s “Coda” were released on July 31 as the band wrapped up a year-long reissues campaign. Billboard reports the trio of albums could each move around 25,000 equivalent album units in their opening week of sales. The three albums landed on the Billboard Top 10 upon their original release, with “Presence” and “In Through The Out Door” both reaching No. 1 while “Coda” peaked at No. 6. The top 10 of the Aug. 22-dated Billboard 200 chart will be revealed on Sunday, August 9.